The UN commission of Inquiry on Burundi has presented its written report including the summary executions, arbitrary arrest and detentions, acts of torture and other cruel, inhuman or degrading treatment, sexual violence and forced disappearances. The members of the commission said the serious human rights violations, including some which constitute crimes against humanity, have continued to be committed in Burundi, in 2017 and 2018. “Some practices, such as the disposal of bodies operating at night, tend to make these violations less visible. Nevertheless, they are still real”, says Doudou Diène, chairman of the Commission of Inquiry. The findings of the Commission are based on approximately 900 statements of victims of human rights violations, witnesses and alleged perpetrators of such acts, including 400 statements collected this past year. “Burundi government has once again refused any dialogue and cooperation with the Commission of Inquiry this year, despite repeated requests and initiatives from the Commission”, says Doudou Diène. Human rights violations documented by the Commission of Inquiry were aided by recurring calls for hatred and violence, including the calls by the President of the Republic. 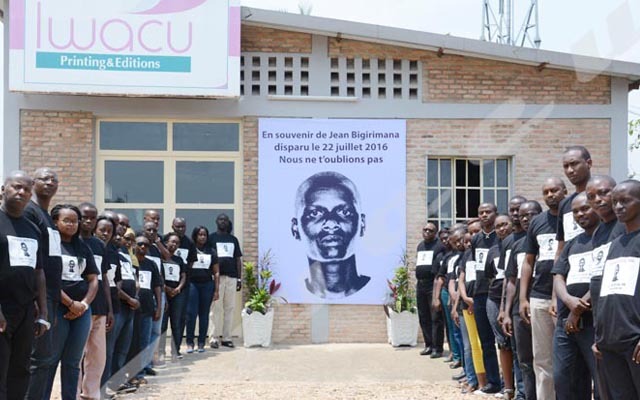 “The Burundian judicial system has neither the will nor the capacity to establish who is responsible and to prosecute perpetrators of violations”, stated Doudou Diène. He also says the Constitutional Referendum organized in May 2018 and the campaign for the upcoming elections in 2020 have resulted in persecution, threats and intimidation towards persons suspected of opposing the government or not sharing the ruling party’s line, whether proven or not. mbers of the UN Commission are not influenced and have index to investigate on human rights violations. “Locked political space, the constitution which excludes, unilateral Electoral Commission… are among the human rights violations,” he says. He also says the case of sentenced people who are released but remain in prison is also another example of the human rights violations. “We have just 200 cases of people released but remain in prison,” he says. The members of the commission accuse the Imbonerakure youths affiliated to the ruling party and security agents. Martin Nivyabandi, Minister of Human Rights, Gender and Social Affairs dismisses the allegations and say the report is the extension of the past years’ report. “The commission aims at torpedoing the government’s efforts,” he says adding that what the members of the commission report are their concerns. Minister Nivyabandi says it is not logical to hear that the commission wishes the extension of its mandate. “Producing a third report is a financial speculation”, he says. He also says the commission is the source of international manipulation against Burundi government. “Burundians must work together to defend their interest”, he says. As for Pierre Célestin Ndikumana, chairman of MPs’ group from the coalition of independents ” Amizero y’Abarundi”, the UN Commission of Inquiry on Burundi has the right to request the mandate extension if suspicion persists. “The Human Rights commission ends its mandate if there is improvement of the situation”, he says. The Commission of Inquiry on Burundi was created on 30 September 2016 and its mandate is to conduct a thorough investigation into human rights violations and abuses committed in Burundi since April 2015, to identify alleged perpetrators and formulate recommendations. The Commission of Inquiry will submit its report to the Human Rights Council during an interactive dialogue, which will take place on Monday 17 September 2018, in Geneva.